Hello! 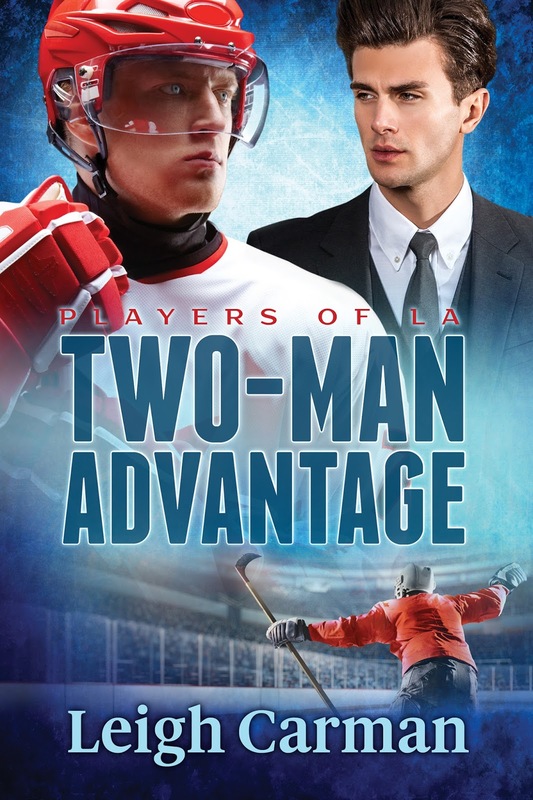 I’m Leigh Carman and thanks for stopping by My Fiction Nook to read about my new release, Two-Man Advantage. 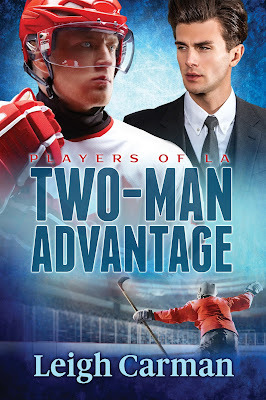 I wasn’t sure what to talk about today—hockey, hot guys, what it’s like to be an author, or any of a dozen other possible subjects. 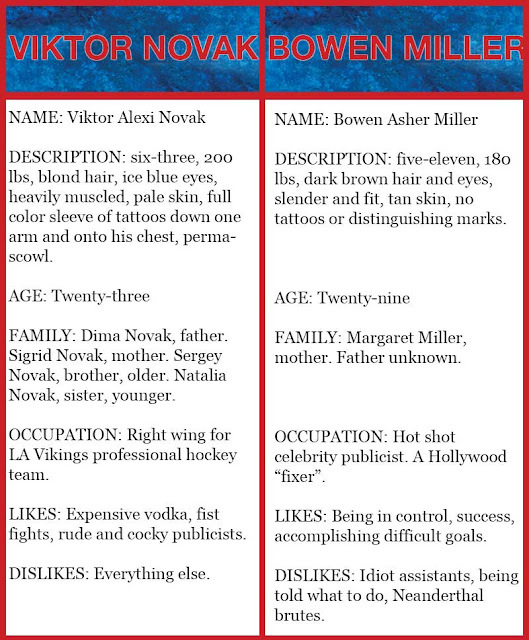 In the end, I decided to give you the biographies of my two main characters, Viktor Novak and Bowen Miller. Vik and Bo are two of my all-time favorites, and writing them was a pleasure. I loved every minute I spent creating their personalities and little quirks. I hope you end up loving them as much as I do. 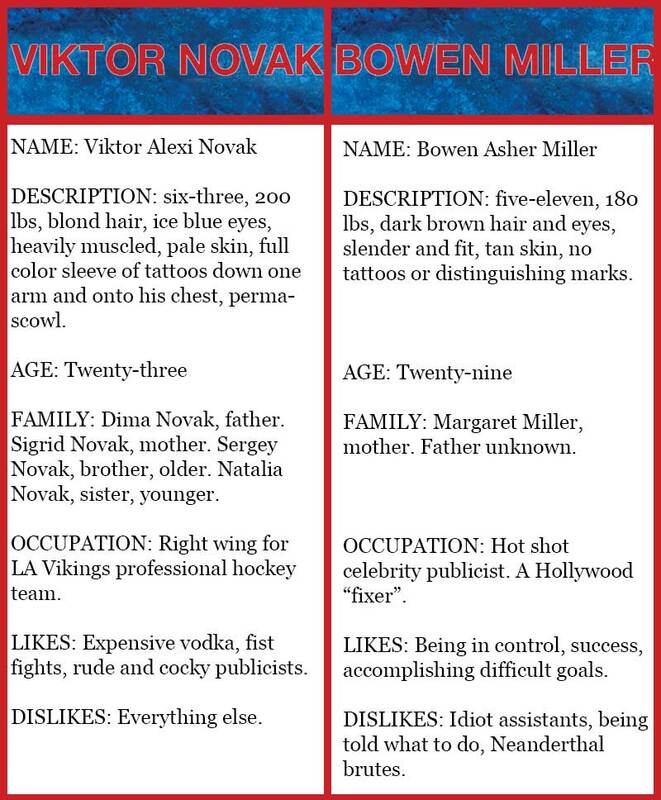 If you read the blurb, you know that Two-Man Advantage is about Viktor Novak, an angry, out of control hockey star, and Bowen Miller, a public relations “fixer” hired to pull Viktor’s reputation out of the toilet. Viktor has one last chance to clean up his image or he might find himself unemployed. Unfortunately for Bo, the job ends up not being as easy as the cocky publicist believed. This chart gives you a little insight into the minds of Vik and Bo, as well as what they look like. Believe me, when you put a control freak in the same room as someone who brings chaos wherever they go, things can get a little… explosive. Thanks for taking the time to check me out. You can visit my website HERE for more information.